0	jplist-folder-All-Posts-4570 jplist-folder-Featured-4573 jplist-folder-All-Posts-4570 Brochure-Brochure	jplist-topic-AWS jplist-topic-Azure jplist-topic-cloud jplist-topic-Colo jplist-topic-Data-Cetner jplist-topic-Direct-Connect jplist-topic-Express-Route	1	06/01/2017 13:45:25	Equinix has spent 21 billion dollars creating the world's largest interconnection platform and partner ecosystem - Make it your office for profits today! 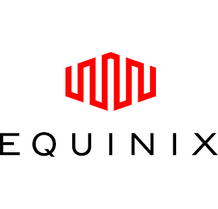 3	jplist-folder-All-Posts-4570 Brochure-Brochure	jplist-topic-Equinix-Performance-Hub jplist-topic-Performance-Hub	0	09/16/2016 19:35:52	Use this to review the Equinix Performance hub reference architecture. One rack gets your customer directly connected to the top cloud and network providers. Many of our partners use this approach as the "on-ramp to the cloud" for their customers. 5	jplist-folder-All-Posts-4570 jplist-folder-Battle-Cards-30359 jplist-folder-All-Posts-4570 Battle-Card-Battle-Card	jplist-topic-Battle-Card jplist-topic-Equinix-Battle-Card jplist-topic-Selling-Equinix	0	09/16/2016 14:58:43	This is the Battle Card to review when selling Equinix's services.